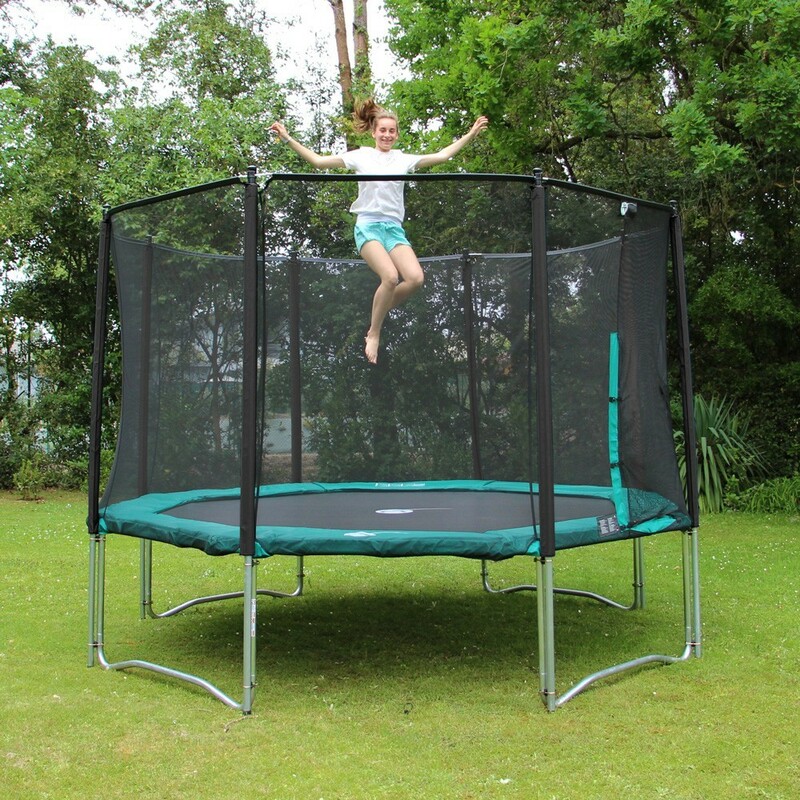 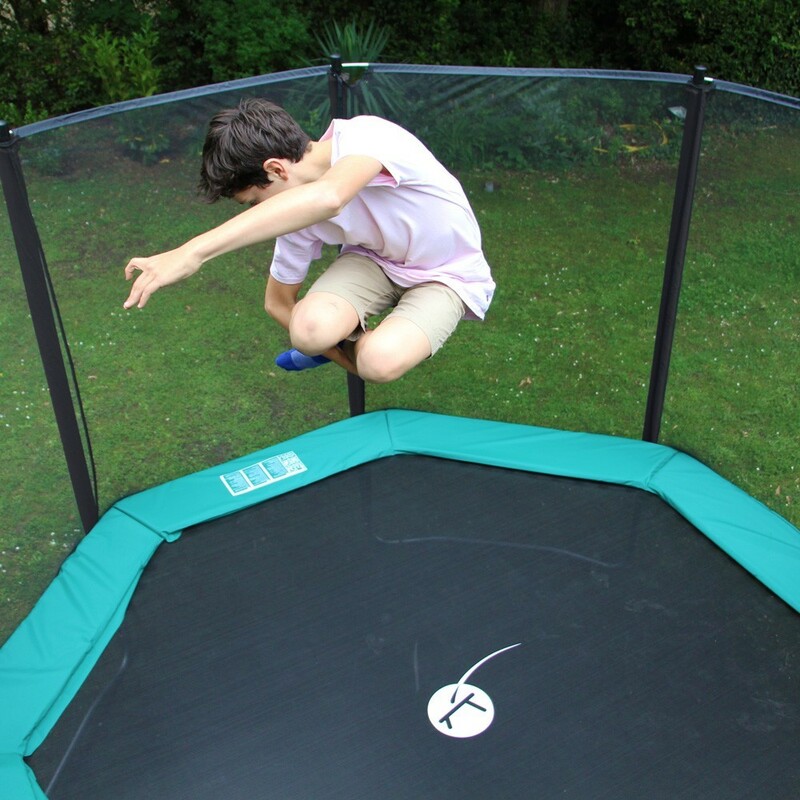 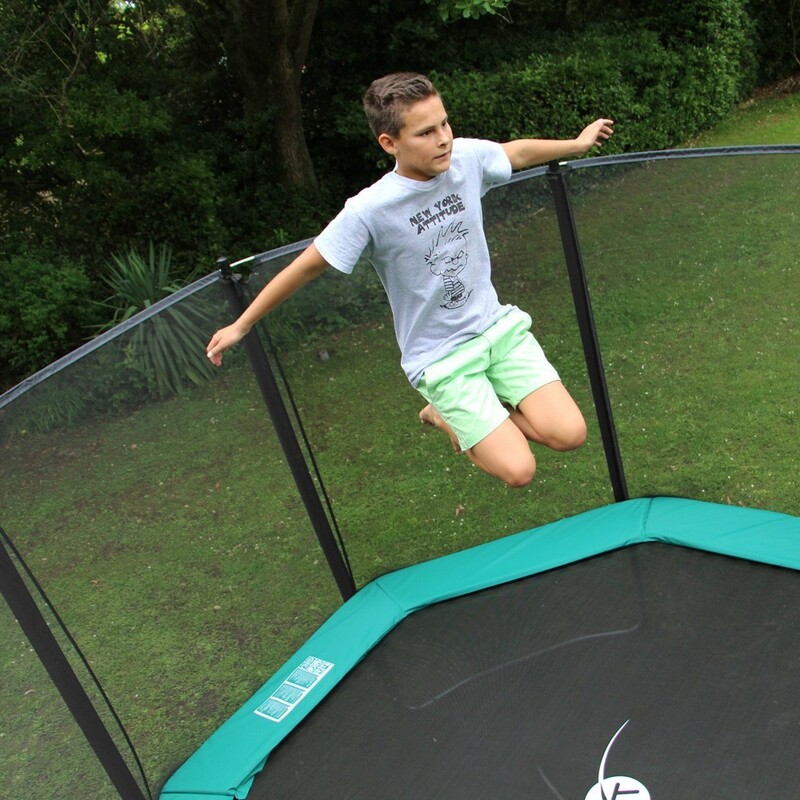 Resolutely high-end, this large octagonal Waouuh 430 trampoline fits right in to a large garden. 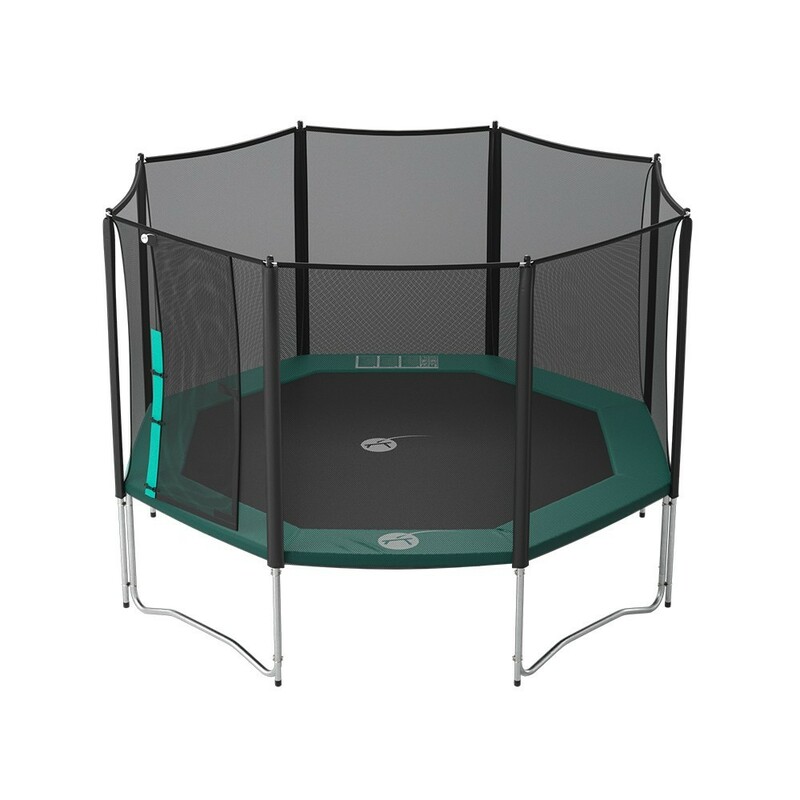 Delivered with a premium safety enclosure, it will provide teens and adults with years of dynamiic, ample jumps, withstanding up to 170 kg. 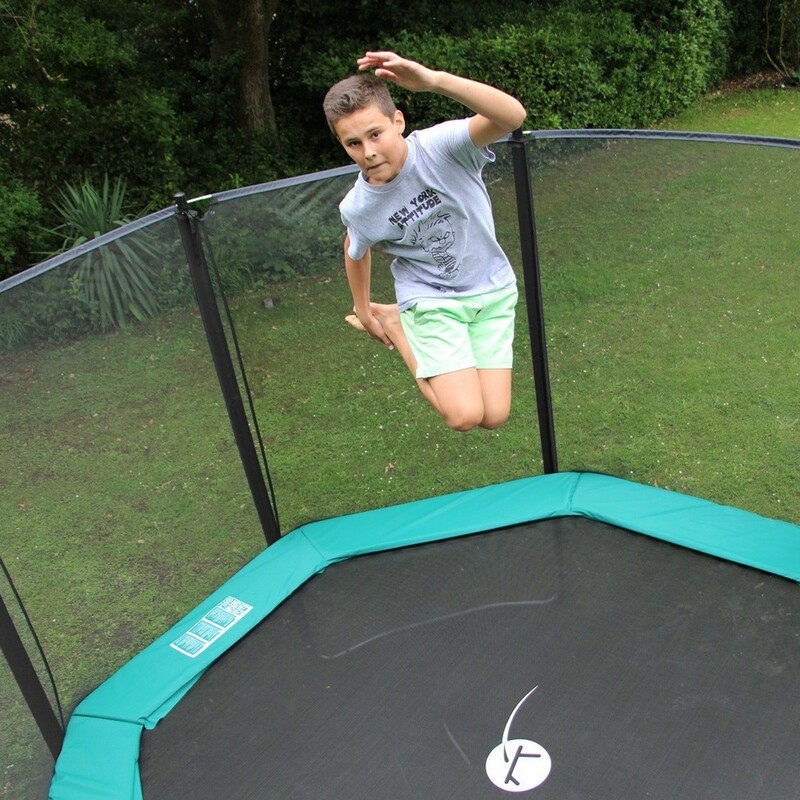 - A France Trampoline innovation, its springs are positioned across from one another to guarantee very dynamic jumps. 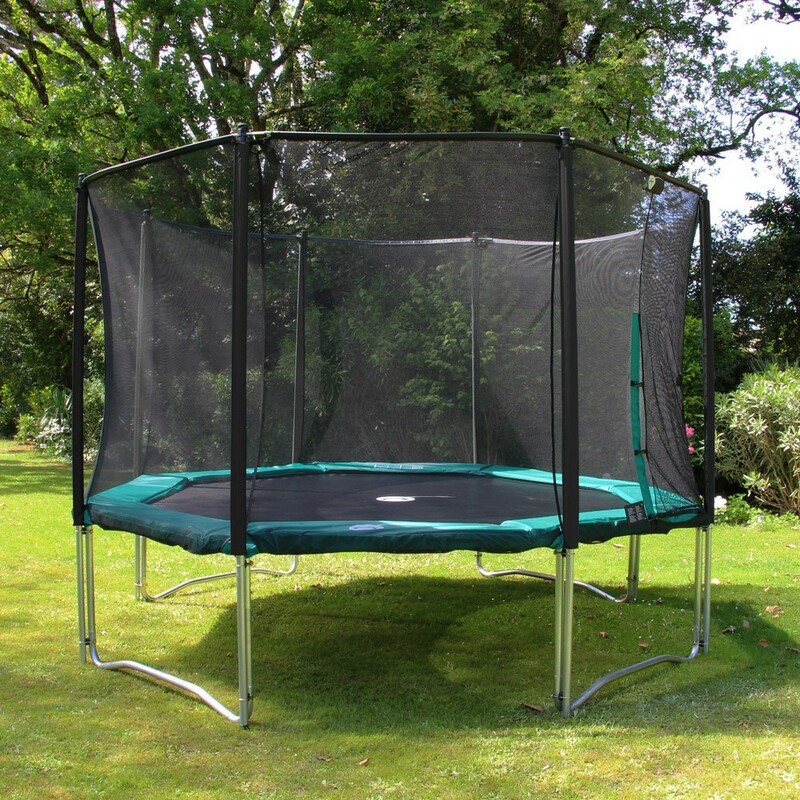 The octagonal frame in hot-dipped galvanized steel is corrosion-resistant, so the trampoline may remain outdoors year-round. 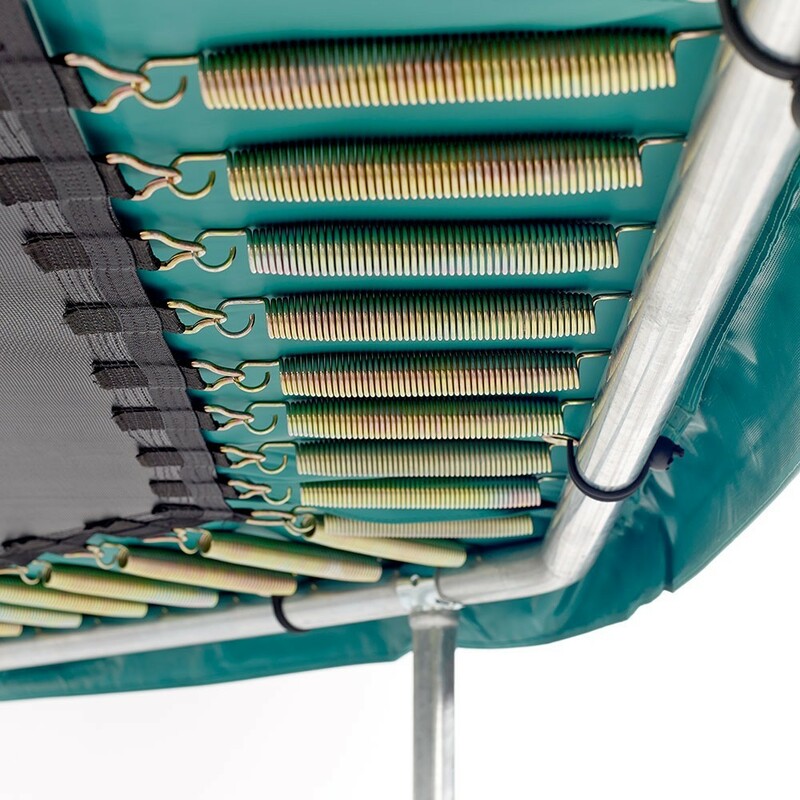 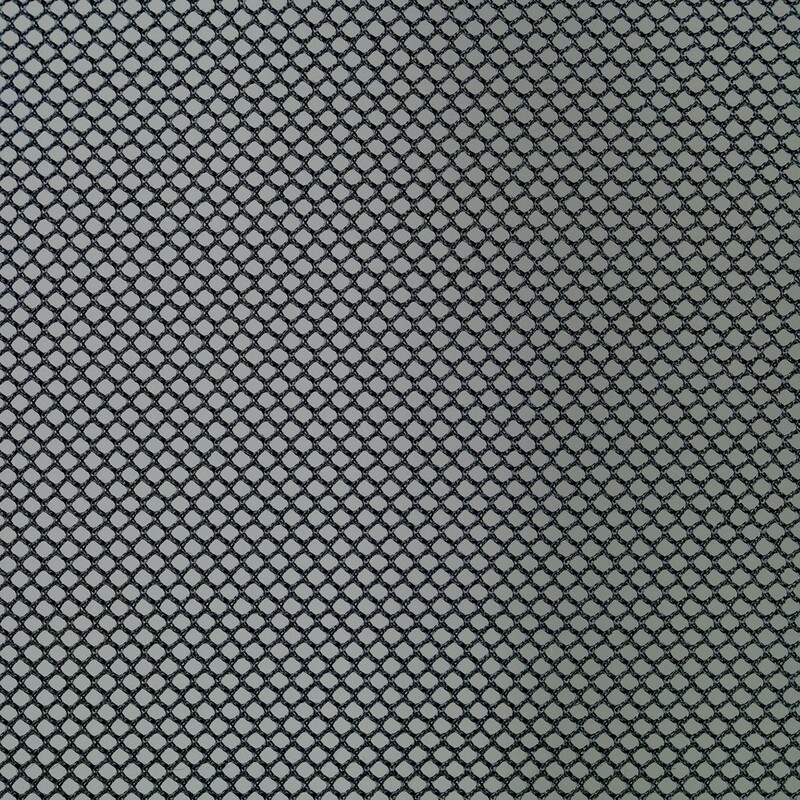 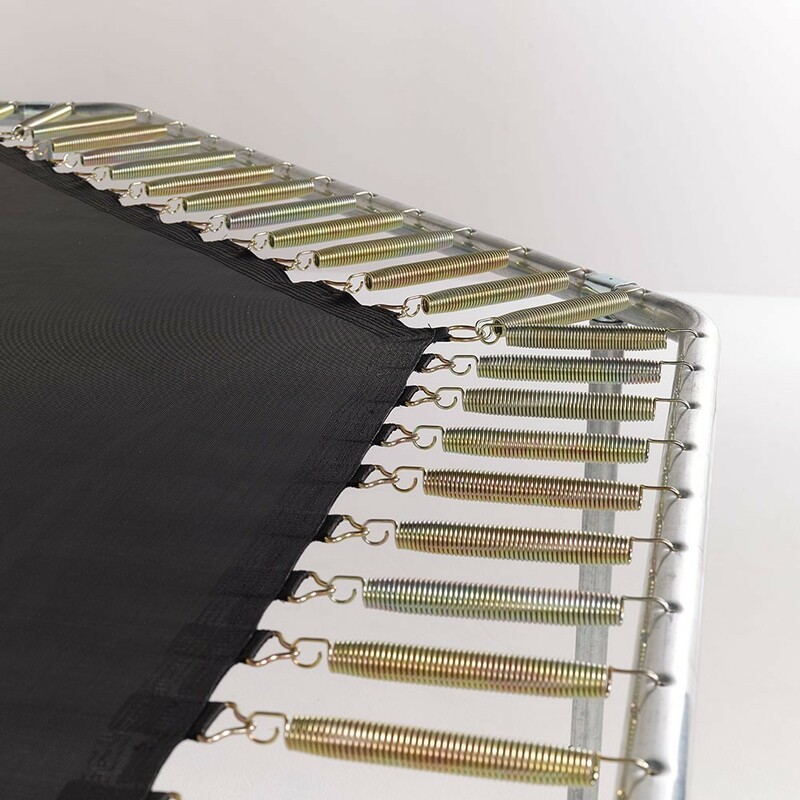 - The trampoline jumping mat is reinforced by 8 rows of stitches and an additional reinforced strip for maximal robustness. 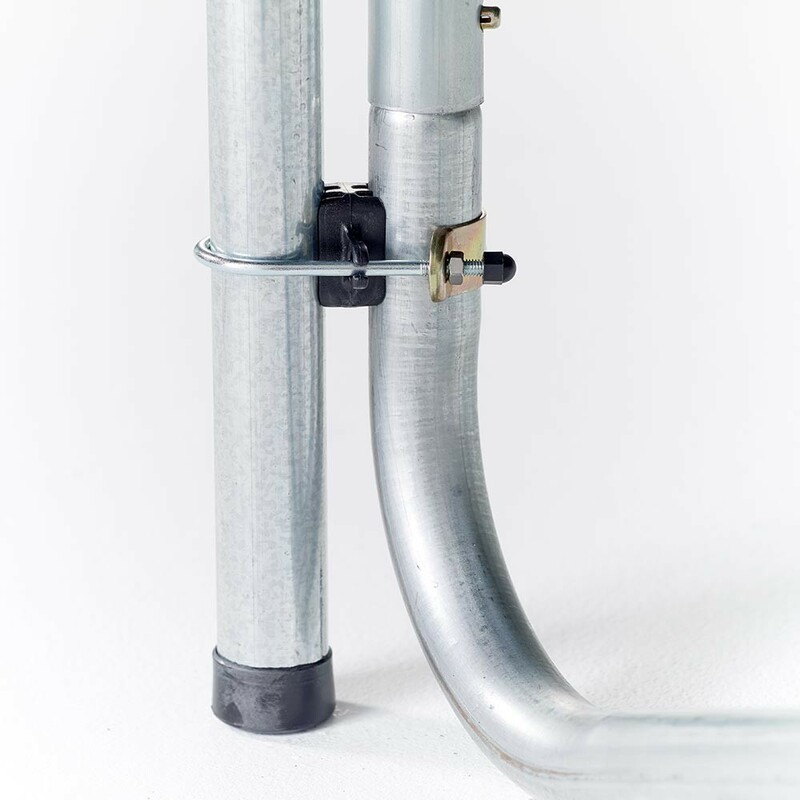 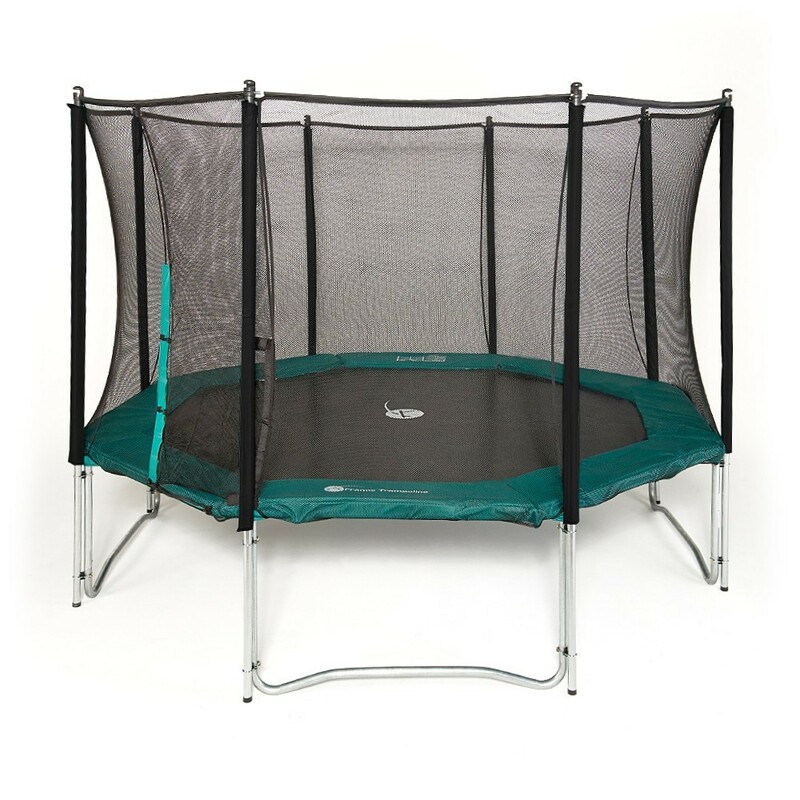 - The frame pad is designed to protect the jumper from the springs and frame. 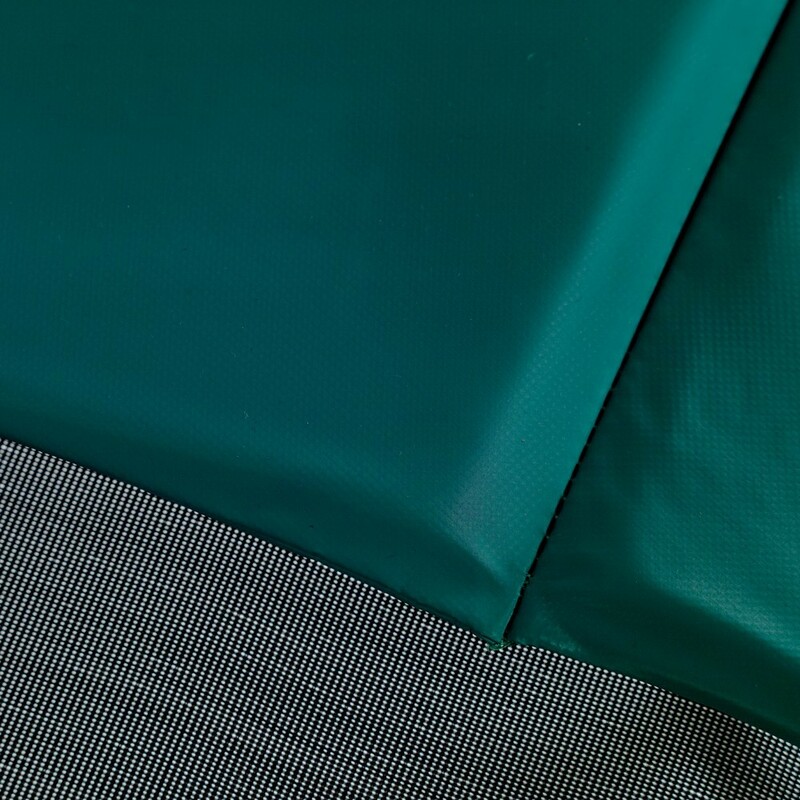 The pad is made of thick, EPE monobloc foam covered in a waterproof, high-density PVC canvas akin to a lorry tarpaulin. 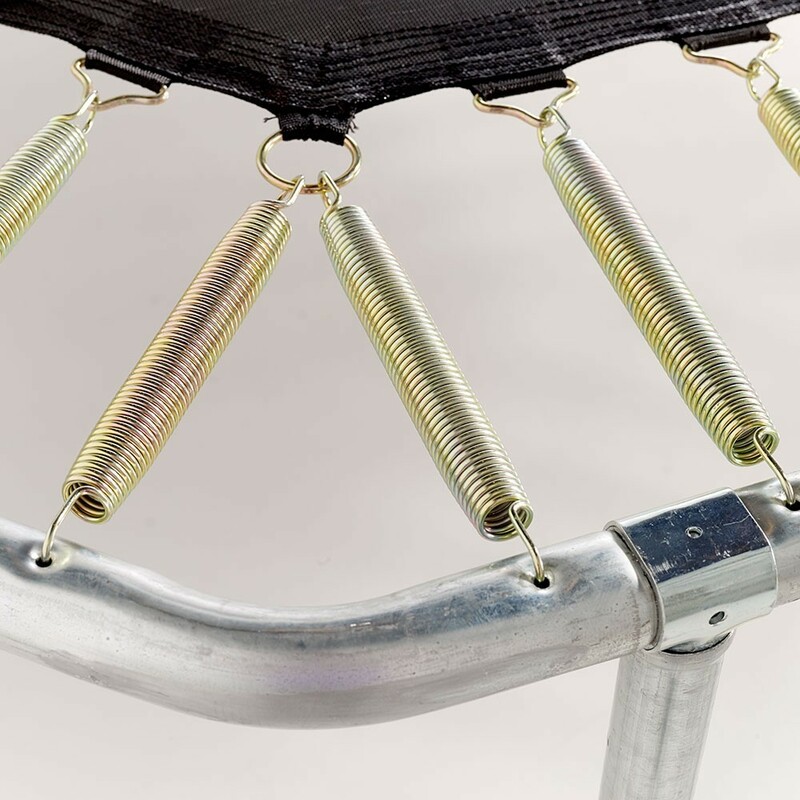 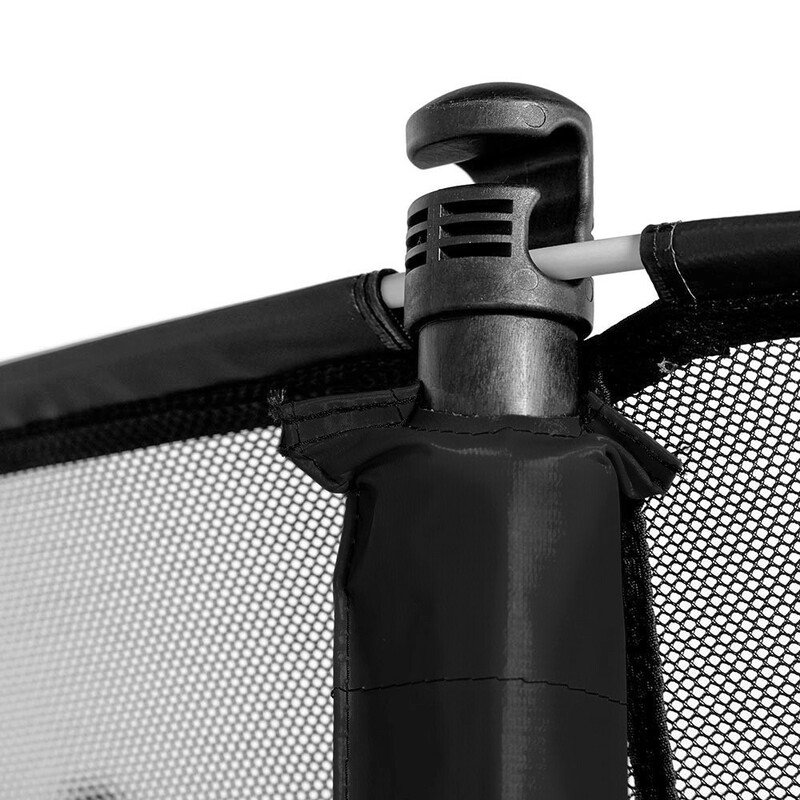 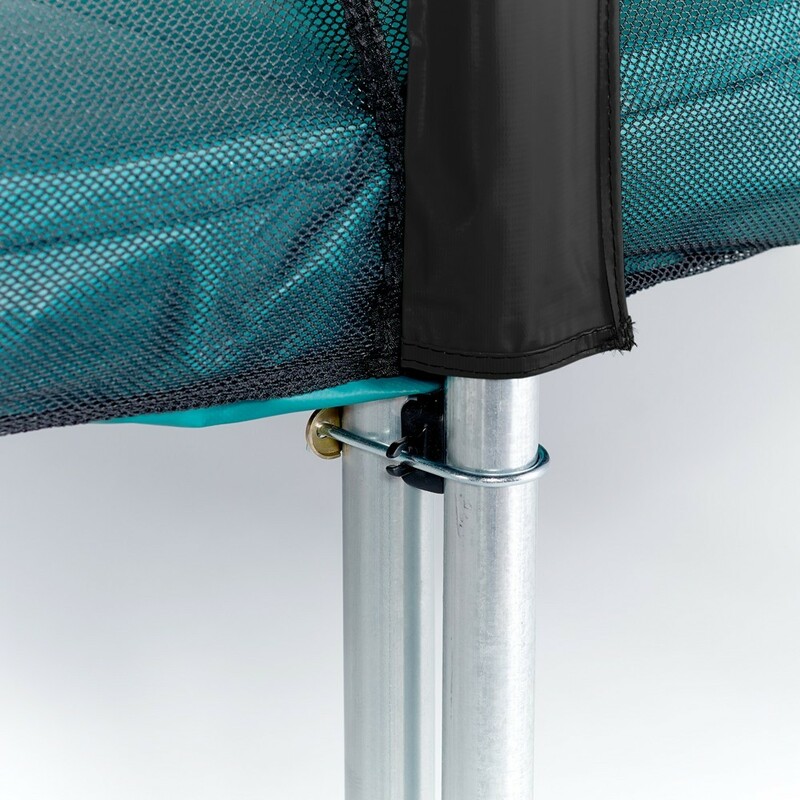 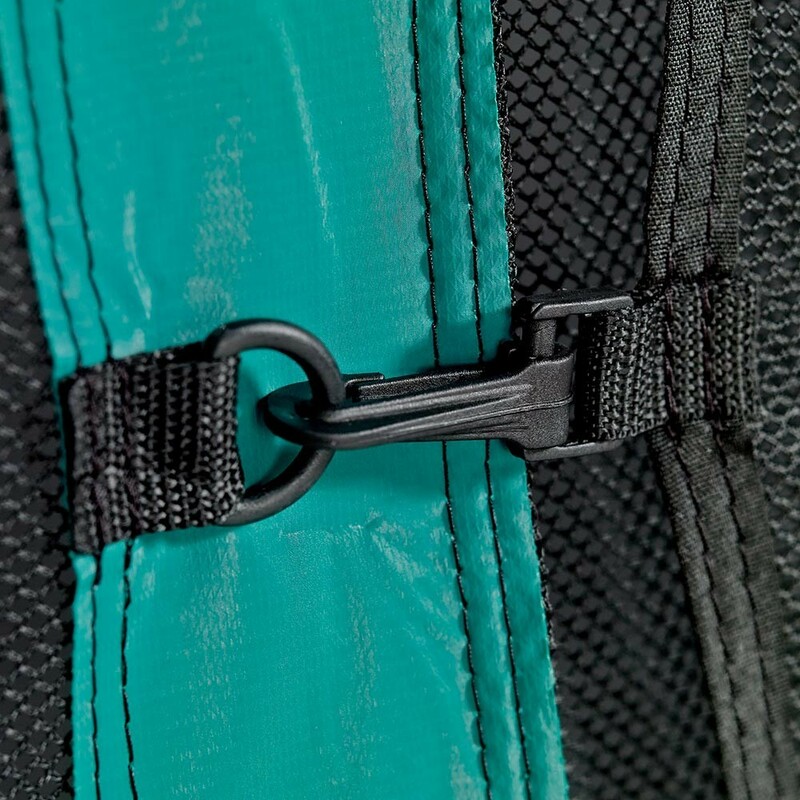 - Jumpers are also protected by the Premium safety enclosure held up by solid net posts fastened in two points on each trampoline leg for maximal safety.